World Class Ocean, Bay, and Bridge Views! Ocean Front! Spacious and bright 2 bedroom, 2 bath cottage on a bluff overlooking the Alsea River's entry to the Pacific. Views are world class of the ocean, estuary, spit and Alsea Bay including graceful Bay Bridge. Short public path to the beach is four lots away. The west wall is windows and the play of tide and current, crabbers and fishing boats, sunsets and night lights provides a constantly changing show in the back yard. Very quiet street a couple blocks from Hwy. 101. Full kitchen with utensils, clothes washer and dryer, Cable TV, woodstove. 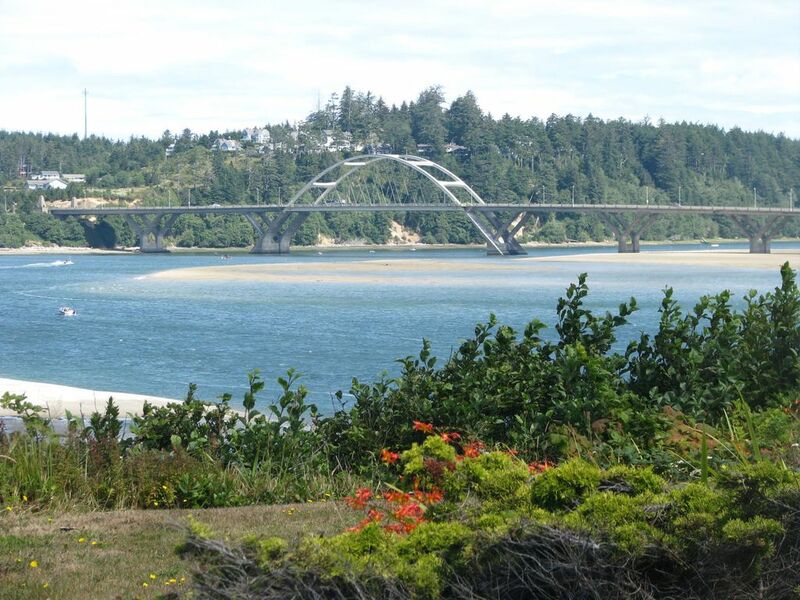 Restaurants, markets, renowned video rental store, and golfing are minutes away in Waldport. Location is 1.5 hours from Albany/Corvallis, and Eugene; .5 from Newport; .45 from Salishan and Florence. The owners are two families-one owns and manages a restaurant and bar in Eugene, the other a vineyard and winery in Albany. This property sits on Jaquina John Point, which juts out at the confluence of the Alsea river bay and the Pacific Ocean. It has full, unobstructed, ocean front, river front and bay front views, including the beautiful Alsea bay bridge. It is minutes to all city amenities. This house's perch above the Alsea's entry into the Pacific Ocean with the tide coming and going, with Winter and Summer storms and fishermen and crabbers working means a change in view moment to moment, day to day, month to month. In living and master. Roku sticks and Wifi. Numerous DVDs and Wifi with Roku.